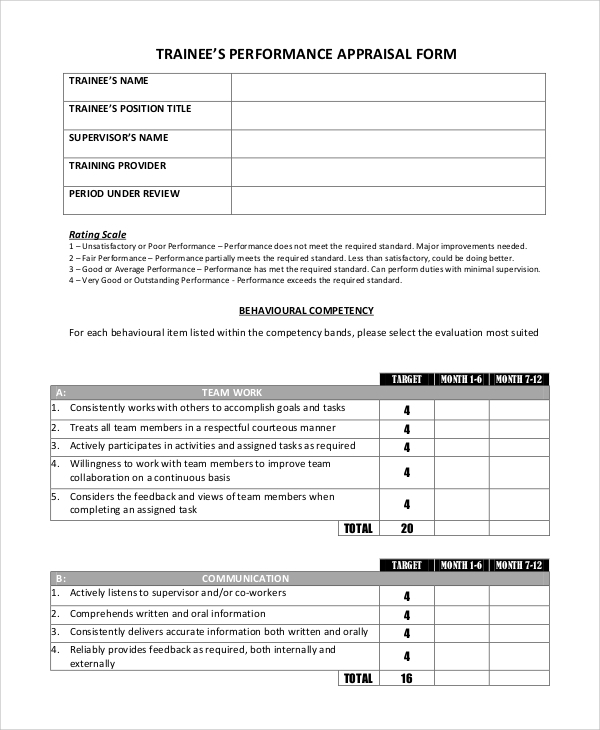 Performance appraisal is a systematic performance review by the employer to understand the capabilities and qualities of an employee for further growth and development of the employee in the organization. 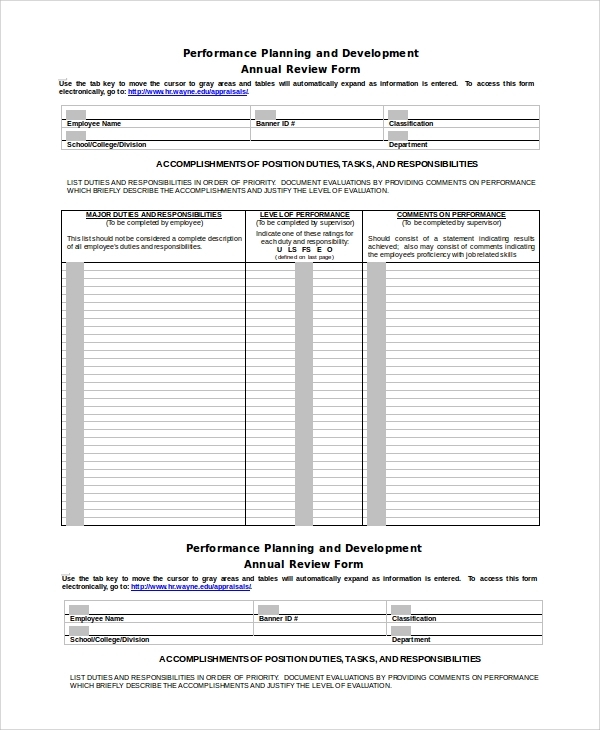 performance review is done in systematic ways where the supervisors assess the pay of employees and equate it with targets and plans. The supervisor makes an analysis of the factors affecting the performance of the employees and advises the employees for better performance. Who is the Target Audience for the Performance Appraisal Examples? 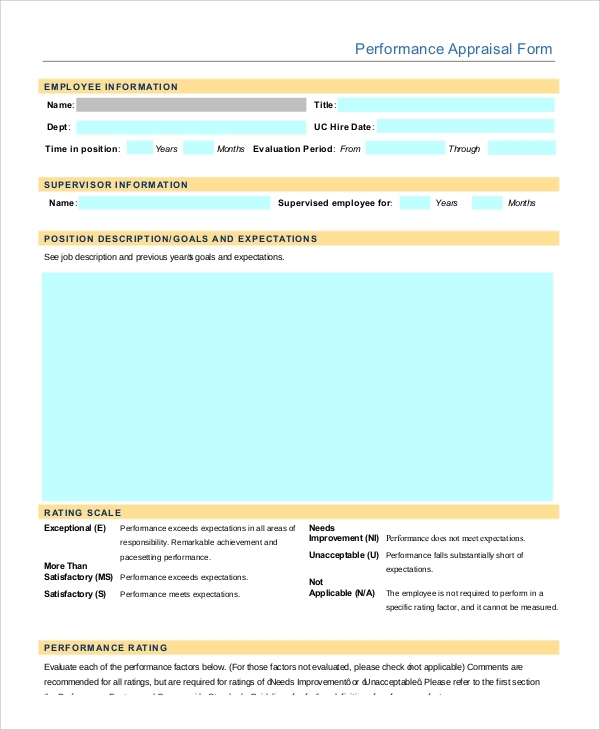 The primary target audience for sample performance appraisals would be of course the employers and the human resource department of the organization. Performance appraisal can be considered as a measure for achieving the goals and target of the organization, as happy employees are the key to a successful organization. Before granting appraisal to any employee, you need to check if the employee promises enough or not. This work is done by the interview performance appraisal form. 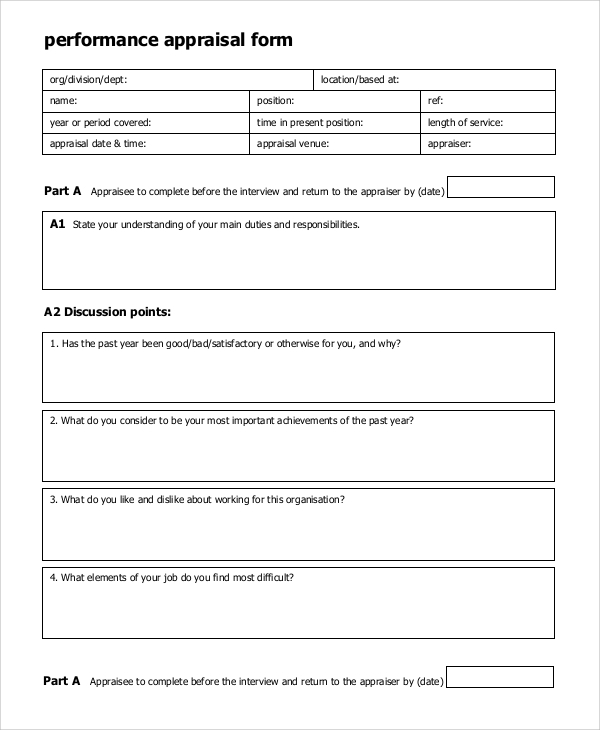 It is like a self-assessment form, and the employer gets to know how loyal the employee is towards his/her work and the organization. 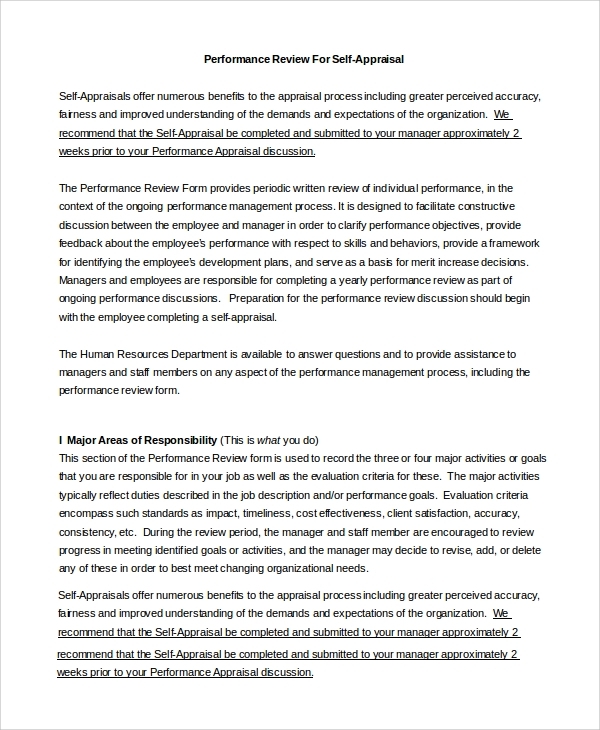 What are the Benefits of Performance Appraisal Examples? 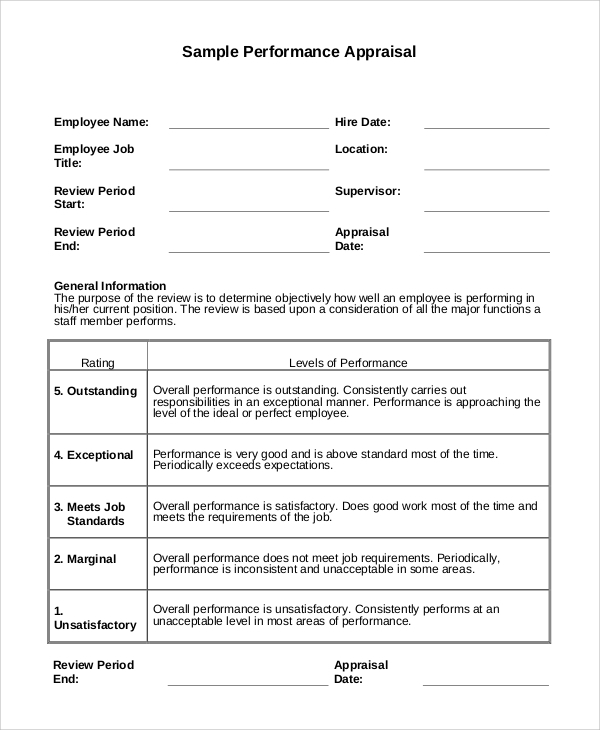 Performance appraisal is a perfect way to assess the employee performance evaluation. 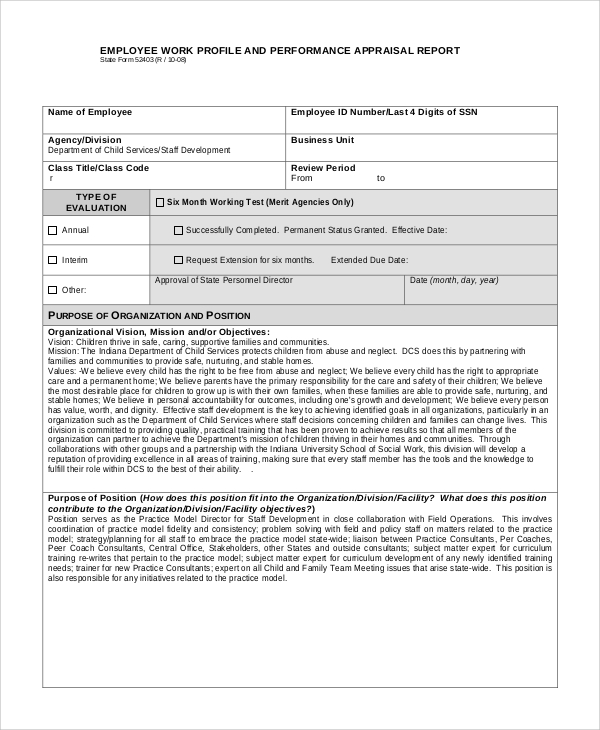 It is a very useful and reliable tool which will benefit the employees as well as the employers. 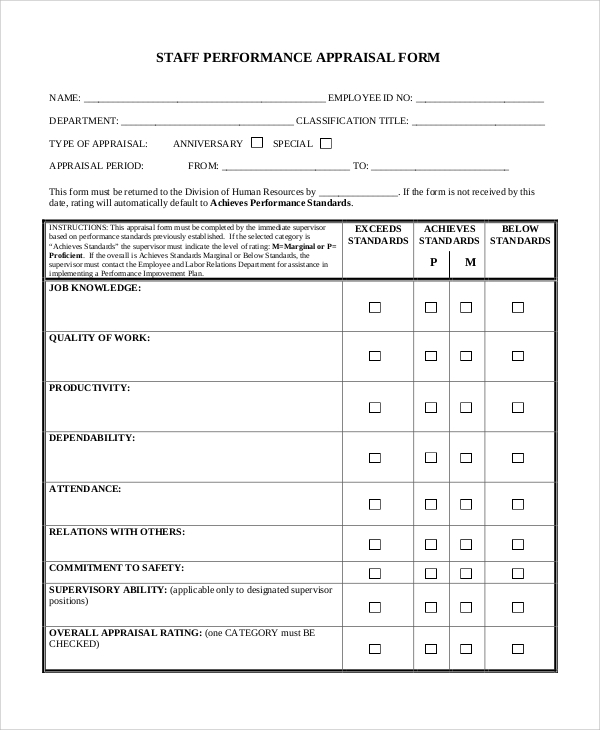 sample employee performance evaluations is a very necessary tool which will help the organization to improve and achieve its goals and targets. Performance appraisal is very necessary to motivate the employees to perform better and also for the overall development and welfare of the organization.